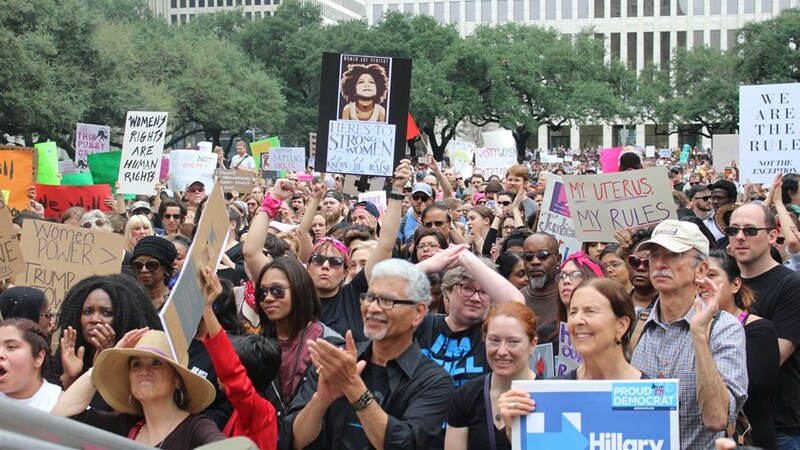 On Saturday 20, 2018, women all over Houston gathered together to march in Downtown, Houston for building progressive power for the 2018 elections. Women met up at Buffalo Bayou Waterworks Building to start marching to City Hall. The Houston Police Department guided the March along the route for the women’s safety. All marchers gathered at 10 a.m. ready to protest and take a stand for all the women in Houston and the United States. Last year, the Women’s March of 2017 was against President Donald Trump’s inauguration, this year the protest focused on other subjects as well. While women’s rights was in focus, many of the speakers addressed immigration, gun control, and many more. The Women’s March of 2018 was a great success, and Houstonian women can’t wait for the next one to be announced.